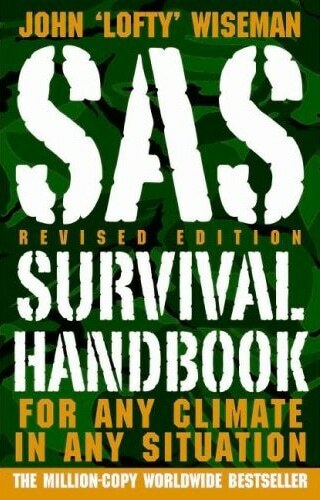 With so many options on the market today, why should anyone take the time to put together a survival kit of their own? Wouldn’t it make more sense to save some time and just grab something prepackaged? This is a common question posed on a daily basis by lots of people just like you. People who are trying to make a decision that will impact the lives and survival of not only themselves but also people they love and maybe people they haven’t even met yet. That’s A LOT of pressure! So let’s start out by saying that a premade kit isn’t a mistake. Some preparation is better than no preparation. So let’s call a premade kit a step in the right direction-but we can do better. Take a look at some of the wilderness first aid books put out by Outward Bound or the NOLS Wilderness first responder guide. In those you’ll find just about anything that can go wrong and what you’ll need to fix it (The Big Book of Self Reliant Living is another great resource). What you’ll notice in these books is that many situations call for similar supplies, while some situations call for very specific supplies. When you purchase a premade kit or any sort, you’re allowing the manufacturer to tell you what sort of situations you’re likely to encounter. What you’ve got to do as a survivor, is to evaluate your plan of survival and determine what situations you’re likely to encounter. If you live in the tropics, for example, you probably won’t have too many instances of hypothermia, but you will probably need to prepare for heat exhaustion. This is obviously a simplification of a complex scenario, but you see where I’m going with this. Here’s another thing, bandage companies are not in the business of helping you prepare for emergencies, they’re in the business of selling bandages. They’d like to sell as many bandages as possible, for as much as possible. I’m not knocking the merits of Capitalism, I’m just trying to make a point. 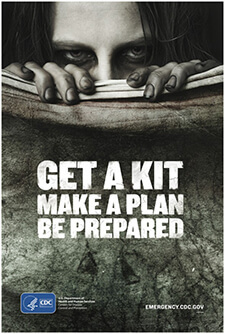 The point is, it’s not in their plan to keep you as prepared as possible, it is in their plan to sell you bandages. If you look at a first aid kit, it more than likely contains a vast assortment of various useless wound dressings, which could be easily replaced with a few well planned and less expensive options. The thing is they’re in the business of selling bandages. So if you buy a kit off of the shelf, yes you will probably get what you need, but you’ll probably also get a lot that you don’t and won’t ever need. Why not prepare ourselves as efficiently as possible? 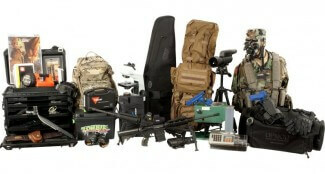 Ridiculously expensive zombie survival kit ($24,000) that doesn’t even come with guns. 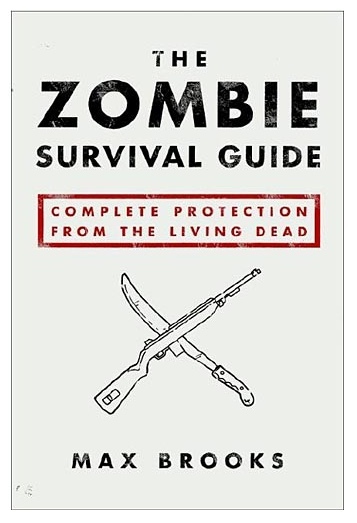 Have fun killing zombies with binoculars! Another aspect is cost. Survival kits tend to be exorbitantly expensive when bought as a prepackaged unit. Many of the items can be purchased individually for significantly less and then put into your own custom kit that you’ve researched to best fit your situation. You can never really be prepared for everything, but you can make an effort in that direction. If you don’t have the time to really evaluate or you don’t have the confidence to do so, that’s ok, something is better than nothing and an off the shelf kit will have you better off than nothing. However, if you have the time, confidence and motivation to prepare and educate yourself about your own survival then constructing your own kit can be a rewarding, fulfilling and life saving experience. The one word of advice I would offer is to not ever feel you have the answer to every scenario. Always listen and learn new things, because someone out there may have encountered some situation you never even considered and their experience may save your life. So work hard, read hard and share what you learn with others. We’re all in this thing together unless the Zombies wipe us out, so let’s not let that happen. 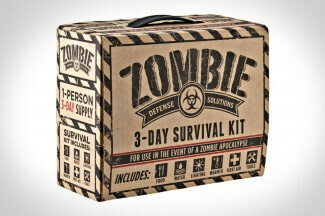 Do YOU think custom survival kits are better (and even more fun)? Let us know in the comments below.